I've been covering esports for over 5 years, from League of Legends to Super Smash Bros. I fell in love with Heroes early in the beta and have been working within the esports scene ever since. With Gold Club behind us, it is now time to turn our attention fully towards the 2018 HGC season. Before we dive into predictions, deeper roster analyses, and more player interviews, I wanted to take some time and discuss areas where I feel the HGC should look to improve next year. Today, I want to discuss a topic that has been tossed around on Twitter for months, and break it down completely with the help of a few pros and former pros. I myself have been yelling about this topic as often as I can, and the time has finally come to break down why the 2018 HGC must add a third ban per side to the draft. To quickly set the table, I'm talking about the ban phase before the picks begin. Whether you're playing Hero League or an HGC match, every game starts with each team banning one hero. I want to explore why I feel strongly that the game would benefit from adding a second ban to that phase. Because I feel that this is a huge issue that should be deeply understood, I reached out to a few prominent figures in the competitive scene to share their thoughts. One of the most common complaints about watching competitive Heroes of the Storm is the lack of diversity in hero picks. Every draft looks the same and it makes long tournaments boring to watch. Personally, I find the draft to be the most interesting part of a competitive HOTS match, so I needed another perspective. I reached out to former Dignitas support Bakery, also known as James Baker Prime, for his thoughts on the matter. "Statistically, that's not true," he explained in reference to the draft homogenization complaints. "We have high Hero diversity both in terms of percent-spread and number of Heroes picked. However, it is true that the first phase of the draft is very often the same from game to game, and even team to team." Essentially, if you look at the data we see a high volume of unique hero picks over the course of a tournament, but those interesting picks always happen at the end of the draft, and the core of team compositions are largely the same. This is because Heroes of the Storm has a high volume of extremely strong picks that simply demand early draft priority. When you only have one ban, you essentially have to use your early picks as additional bans to attack the enemy team's hero pool. Let's use the old Roll20 roster as an example. Teams regularly used their first ban on Medivh to attack Glaurung's limited hero pool, but let's say you also wanted to deny Dehaka from Goku. You only have one ban, and Dehaka is such a strong hero that you can't guarantee you'll be able to ban him during the second ban phase. Therefore, if you're first pick, you are obligated to spend that pick on Dehaka every game against Roll20 if you want to keep it away from Goku. As a result, every game in the series is a Dehaka comp, making the games feel homogeneous. If teams had a second ban in that first round, they could ban Medivh and Dehaka, and then utilize unique strategies in each game, leading to a more diverse feel to the drafts. GFE's support player, Akaface, told me he felt a third ban would be beneficial because there are simply "too many OP heroes". There are so many heroes that are just objectively better than the rest, that bans have to be spent removing those heroes from the equation. This means we see far less target/respect banning occur in the first round of drafts. Target banning is one of the more interesting high-level strategies in a draft phase. It rewards studying your opponent and identifying the unique strategies they employ that are difficult to counter. With only one first round ban and, as Akaface says, so many OP heroes, you cannot afford to spend that ban targeting something unique unless your opponent is extremely one-dimensional. For example, you can't use that first ban on Quakniix's Falstad, even though it's a clear comfort pick and enables Fnatic's patented "triple global" strategy. If you're first pick and you spend that ban on a team-specific pick like Falstad, you leave open ETC, Genji, Lucio, and Greymane. Fnatic bans Genji, you pick ETC, and they still get Lucio and Greymane. With a second early ban, teams have more strategical choice. They can remove something universally strong, and then either remove a second OP hero, or attack a player's hero pool. Alternatively, they can spend both picks really attacking a player's hero pool and force someone potentially onto a weak hero, or expose their limited pool. Looking back at Gold Club, Zaelia was extremely impressive as a new support player, so long as he was on Lucio. In particular, his Uther was exposed in the final match against Ballistix. In such a situation, a team could spend both of their first round bans on supports, forcing Dignitas to either spend an early pick on a suboptimal support, or risk leaving Zaelia on his fourth or fifth best hero. For someone new to the role with a limited pool, that would be a massive disadvantage, even if Dig got everything else they wanted in the draft. This is the most common pushback we see when the topic of adding a third ban shows up on Twitter or Reddit. We don't have enough heroes in the game that can solo tank or solo heal. If all bans are spent on one or the other, a team could get a massive advantage if they get the only remaining solo support. "I feel like most of the concern over Support or Tank chokes in a 3-ban system are at best exaggerated and at worst intentionally misleading. Theorycrafting a situation where one team uses both of their opening bans on Supports, and the other team saw that and thought they should also ban out supports, and then neither team picked a Support in the opening 5 picks, and then both teams banned out two more supports is pure insanity. Realistically you would need 4 viable solo supports, solo ranged damage, and solo tanks. This would account for two opening bans and first pick. Anything more than that is a welcome addition. Even if there were not 4 viable Heroes at times, I do not think that downside outweighs the benefits that a 3rd ban would bring. I believe that we do have 4 viable Heroes for each of those core roles, and I believe that now is the time where 3 bans can work for our game." The second flaw I see in this argument is that the problem is entirely of Blizzard's own creation. They have all the power to decide which heroes can solo support or tank, and which cannot. However, their broken role classification system has led to a situation where they have yet to design based on the established meta of their game. Look at League of Legends early in it's design versus now. In the early days, there was no established meta for the game. People were still sending AD carries to the mid lane, and sending their supports roaming the map as secondary gankers. There was no understood "top/jungle/mid/bot duo" setup for teams. As a result, those early champions don't fit into that meta. However, as the meta evolved, we saw heroes designed more specifically with those roles in mind. A hero like Shaco has no real place in competitive League of Legends because his kit doesn't allow him to fill any role well. However, champions like Nocturne and Sejuani had kits specifically designed to allow them to jungle well. They were given enough survivability to jungle alone in the early game, and tools to enable lane ganks. Supports like Lulu and Thresh were designed specifically with the bottom lane duo in mind, and their kits are more interesting and exciting as a result of the game's meta. The Heroes design team has yet to design heroes with the game's understood meta in mind. After nearly three years of high level competitive play, an optimal team dynamic has been identified. The game is played better with a true tank in the front line, and a solo healer in the back. However, our two most recent supports, Ana and Alexstraza, do not have kits designed with this meta in mind. Neither hero can solo heal at a competitive level. Similarly we are still getting heroes like Dva classified as Warriors with a big shield icon explaining their role in a team, that have no tools in their kit for tanking. All three heroes are very well designed and super interesting, but none actually fit the role assigned to them in the game's classification system, and they certainly don't fit that role at the competitive level. Plenty of people have written about the need for HOTS to change it's role classification system, it's not worth retreading that argument here. However, I will say that we are long-past the time where Blizzard needs to acknowledge that their game has been figured out at the competitive level, and needs to start designing accordingly. They can no longer just have their design document look at the balance of how many warriors or supports are in the game--they have to break that down further into true tanks, healers, bruisers, and secondary supports. If tanks or healers are lacking, we do not need another bruiser or secondary support--we need heroes that actually fit those roles. Heroes of the Storm has evolved as a game. It's growing and changing faster than Blizzard is willing to acknowledge. Their design team needs to catch up, or continue to widen the gap between to competitive scene and the casual playerbase. Why Not a Second Mid-ban? Blizzard has acknowledged that when they do eventually add a third ban, it will likely be in the mid-draft ban phase rather than at the start. All of my arguments for why a third ban is necessary hinge on it being at the start of the draft, so I need to address this issue for a moment. Frankly, adding a third ban to the mid-phase without adding a ban to the initial phase is ludicrous. It does absolutely nothing to solve Akaface's concern of "too many OP heroes". Teams are still forced to spend their initial ban on something overwhelmingly strong with no room for specific strategy. With only one initial ban, we'll still see the first half of the draft look exactly the same in every game, making fans feel like the game is more homogeneous than it actually is. Further, teams will have an even more difficult time putting together interesting compositions. Teams cannot show any part of their strategy in the initial phase because their opponent now has two bans to counter it. Early drafting would have to become even safer and standard than what we see now. Finally, Bakery pointed out a huge issue with this idea--the time constraints. The draft phase in HGC already feels like an eternity to many fans. Adding any bans will obviously add more time, that's unavoidable. However, adding those bans to the mid-phase would be far worse. "If our third ban was added in the middle, that has the potential to add another 60 seconds of draft per team, as both teams will need time to discuss and adapt. If the bans are at the start, the chance of a team already knowing what to ban is much higher, and the amount of things that they need to discuss is much lower, which means we could shave up to two minutes off of the draft in some situations by placing the ban at the start instead of in the middle." Ultimately, there is no logical reason not to add a third ban to competitive HOTS. It creates more rewarding strategy for teams, removes more oppressive heroes from both competitive and Hero League, and creates more draft diversity for viewers. The only reasonable argument for why a third ban has not already been added to the game is also the most simple--Blizzard doesn't have the resources to add the code in-game yet. Heroes of the Storm has a unique advantage over most draft-based team esports in that the draft in the HGC takes place in the game client. The draft looks exactly the same on an esports livestream as it does in your Hero League matches. As Bakery pointed out to me, we cannot afford to revert that advantage, even for the sake of a better competitive experience. Blizzard cannot add a third ban to the HGC without enabling a third ban for Hero League in the client. 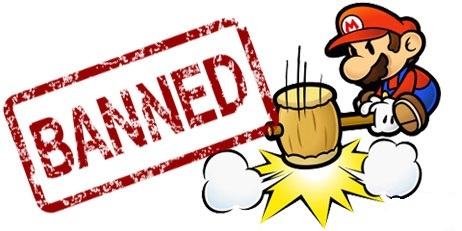 As a result, we likely will not see that third ban arrive until after the Mid-Season Brawl. However, we cannot allow Blizzard to be complacent, and let those resources be spent elsewhere this year. By MSB, HOTS may be ready for four bans per side, and Blizzard must be ready to update the game based on where it is now, not where it was six months ago. The HGC and the HOTS competitive scene are some of the greatest advantages that exist for this game in terms of sustainability and engagement. The pro scene educates the rest of the playerbase on how to play the game properly. We cannot allow the pro scene to stagnate because the developers aren't ready to acknowledge how their game has grown up over the last three years. It isn't the same game it was in beta, and that's ok. It's a better game today than it has ever been, and embracing the competitive meta will only serve to improve the experience for every player. Part of that process means adding a third ban as quickly as possible. Huge thanks go out to Bakery and Akaface for their thoughts on this issue. Mopsio and Nande also shared some thoughts about how to restructure the draft, and we'll dive into those at another time, I just did not have room in this article. Go show all of those players some love on Twitter. Bakery in particular gave me a ton of great insight that didn't fit into the article. As a result, I'll be posting my interview with him in it's entirety on my personal blog. See more of his thoughts here. Lastly, there's a new episode of my new show Entry Level Esports available on the Trollgg channel. This week we got into some more offseason Rosterpocalypse topics from NA, it was a fun time--go check it out! Should Blizzard implement a 3rd ban, or just balance the OP heroes? There will always be a "meta tier list" which means adding more bans just moves the draft further down that tier list and doesn't solve the diversity problem. As for better target banning, a single first ban means you have to make a meaningful choice between meta ban, target ban, and preemptive target ban (i.e. we want Abathur, so we're banning Dehaka). It would be more comfortable to have a million bans so you don't have to worry about anything, but that's not necessarily "better," it's just easier. I have yet to see an actual reason why additional bans are NEEDED, and not just preferred. "Ultimately, there is no logical reason not to add a third ban to competitive HOTS." The more focus that we have on drafting, the less we have on the actual matches. We should be focusing our time on skills that are interesting rather than whatever is convenient. While seeing the draft is fun and interesting, when someone wins the draft hard, that makes the rest of the match much less interesting. Meanwhile, giving us enough bans to allow target bans makes the match clearly less interesting because the players are on their weaker heroes. If I'm watching the best Li Ming player in the world, I want to see them on their Li Ming! Counter them in the game, not in the draft! The point of bans then should be to make the draft easier AND the rest of the game more interesting through a variety of compositions and top level play. Given Blizzard's tank and support design, it seems like we will always need some bans. That number may very well be 3. Nevertheless, some of the reasons that you give for that 3rd ban offend me. This entire philosophy of adding a hard-defined "top laner" or a "jungler" in LoL is pure garbage. I come from Dota2, and could never understand how such a diversity-strangling system could be designed (other than due to the laziness of developers). And I do agree that HotS needs more tanks/healers. But look at Junkrat, he was not designed as a mage or an auto-attacker, and he found his place in the solo lane. That is good design.